It will take about five years to drill a tunnel from the hill face behind Kek Lok Si Temple to Paya Terubong. Miners will drill into the hill “metre by metre” to ensure minimum impact to the environment and soil structure, said Chief Minister Chow Kon Yeow. “They will make small, controlled charges and shape the tunnel as they go. It’s not like quarry blasts,” he said. Szeto Wai Loong, the project director of SRS Consortium, which is the project delivery partner of the Penang Transport Master Plan, explained that the technique is called chemical blasting. 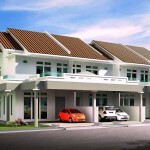 “There will be no risk to any structures above ground as there is much less smoke and vibration. But it’s much more expensive,” he said in a press conference on Tuesday. Asked if there was a way to keep the Pan Island Link (PIL) 1 section near Kek Lok Si and the Air Itam Dam completely underground, Szeto said that was impossible because of the valley from the dam to the old Ayer Itam town. The current proposed alignment will see a six-lane tunnel from Penang City Park ending on one side of this valley, a 300m elevated highway across the valley and another tunnel created behind the 125-year-old monastery leading to Paya Terubong. 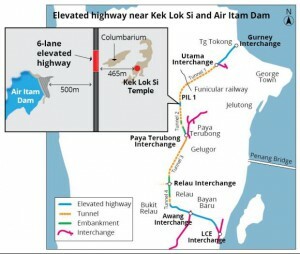 The work will involve the transportation of thousands of tonnes of excavated rubble through Jalan Balik Pulau, the steep and winding road that is the only way to Kek Lok Si and the Air Itam Dam. During the press conference, Chow was asked about the objection from some local NGO members, who argued that it was not worth the cost and effort just to be able to drive from Gurney Drive to the airport in 15 minutes. “It may take just 15 minutes for one person. Multiply that by 1.6 million Penangites and six million tourists. 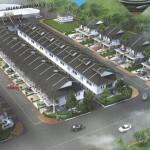 “How many man-hours lost in traffic congestion will Penang be able to save with PIL 1? How much more productivity will we gain from this?” Chow asked. 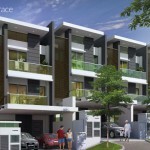 Stop all the unnecessary developments in Penang. We don’t need PIL we are not SICK at all ! We are not sick, we penangites need Penang to develop n move forward. I don’t mind to driver for 2hours to reach FTZ everyday as long as petrol is free. I don’t care it pollute air or not. 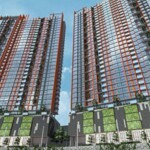 Penang govt is bulldozing through the PIL 1 and will continue to go with PIL 2 and PIL 3 soon. Very arrogant DAPi-G ! All the people of Penang must stand up to protest NOW ! PIL 2&3 very soon? Never heard of it. Don’t simply condemn without basis and proof. We the Penang people will give our fullest supports. Don’t worry. Auntie support. Auntie don’t want traffic jam. Those so called “NGOs” go to he**! You dont represent me! We vote PH for development. Without proper infrastructure, we will be left behind. With more cars coming into Penang island,the traffic is getting worse especially holidays. We the Penang people will give our fullest supports to the Penang government. Don’t worry. Sokongan penuh untuk kerajaan PH and KM Chow untuk membangunkan infrastuktur jalanraya dan pengakutan lain seperti LRT, Monorail, Lebuhraya dsbnya. This is a very good opportunity for CM Chow to listen to all the concerns, provided he is willing to. I believe with today’s technology, all these concerns can be addressed accordingly. It is only a matter of whether CM Chow is brave enough and democratic enough to listen. If Penang can have better safety and Security as SG, we wont mind taking LRT to work and all! well said. some selfish ppl just suka-suka stop by the roadside (to buy TOTO 4D, to tapao food),creating massive traffic jam behind….they cant even park their car far a bit and walk. You expect them to walk and taking LRT.?? Those oppose please move to Kedah and Kelantan, you don’t represent us and you dont know what is our suffering and needs. Please stay away from Penang. I love Penang and fully support actions to help Penang move forward. Developers already hijacked our state gomen. There are total 73.4KM ELEVATED new highway to be built in Penang. Who is going to pay the maintenance fee i.e. 41Mil/year for Pil1 alone since it is toll free? What we need is Modern Tram & improved public transport system, not Mega highways . Elevated highway will turn Penang like Bangkok city, no more blue sky. in 1st priority, our state should solve our flash & landslides issue first. 1. PIL 1 highway will cut through hills (4 tunnels). Soil scientist Dr Kam Suan Pheng explains that the PIL highway tunnels will cut through 3 fault (crack) lines in the granite sub-surface. One of the fault lines is near the Kek Lok Si temple and Air Itam dam. Our Air Itam dam is an earth dam, not a concrete dam. If the soil is weak and if water bursts out from the dam, imagine the disaster this can bring to the inhabitants nearby. Nobody wants his homeland to be destroyed by this type of occurrence. Nobody even wants to live in the fear of losing his life when this strikes. It can strike suddenly and unexpectedly both during construction and after completion. 2. PIL 1 is not a good and long term solution to free traffic congestion. Somehow the highway and definitely the interchange and its feeder roads will be congested. Furthermore, it takes time (years and years) to complete the tunnels and elevated highway, and eventually we are back to square one (jam and jam and jam). We should spend this huge sum of money (RM8 billions) wisely by implementing a better option (our nation is on very tight budget now), by undertaking thorough research and referring to transport plans successfully implemented by other countries. An integrated public transport system consisting of bus and modern electric tram should be looked at. It’s not only cheaper, it’s greener for the environment and it can be implemented immediately and a large section of the society including both the rich and poor, people of all ages, people who don’t have a car can benefit from it. Its benefit, if well planned, can be long lasting. Besides, it is very cost effective and therefore a great saving to the nation! The government should look into this option and study the implementation of it before building tunnels and elevated highways like PIL 1! 3. After the PIL 1 is built, who will pay for the costs to maintain it? The people! Government’s money is from the people! We will still have to incur high maintenance costs even though in years to come, it is no longer solving the traffic congestion problem effectively! On the other hand, if we fail to maintain it, what happened in Italy recently where their elevated highway collapsed due to lack of maintenance and lives sacrificed may also happen here! 4. If one does not think of how the PIL 1 will damage the environment (which is irreversible! ), the hills, the rivers and the landscape of our beautiful Penang Island, please take a moment to think of lives that may be sacrificed due to hills slides, landslides, underground water movement and floods. It will be too late to cry over spoil milk. 5. If PIL 1 is built, we Penangites will no longer be able to exercise in Youth Park (City Park) and Taman Jajar Sungai Ara due to the air/noise pollution and these 2 parks are our only 2 major parks on Penang Island and we cannot afford to lose them. These parks have been used by many people and saved many lives. By building PIL 1, the Penangites will be deprived of a very basic humanity and community need, and this deprivation extends to many who frequently visit the parks, whether they live near or far from the parks. 1. Why want to risk the loss of human lives, loss of homelands, loss of nature’s beauty, loss of humanity and community basic need, loss of green environment, and waste money on PIL 1 which is not effective as a long term solution? Why not implement a greener, cheaper, faster, safer and effective option? 2. PIL 1 is truly not a good option to solve traffic congestion problem on a long term basis. If the relevant authority still insists on implementing PIL 1, why? 3. Why won’t the authority concerned cancel PIL 1 and conduct feasibility study on other option? What exactly does the relevant authority wish to achieve with PIL 1? What actually is the goal for PIL 1 and can this goal be achieved successfully? 4. Perhaps, PIL 1 provides short sighted and short term benefit. BUT WITHOUT A SINGLE DOUBT, the irreversible environmental damage caused by PIL 1 and its risks will be tremendous and will impact the residents of Penang and even the visitors of Penang, for now and for many many more generations to come. MOVE THE RAKYAT AND NOT THE CAR. Build good public transport first. Monorail, tram, improve bus system. More highways, more cars. Everyone will have a car and jam up the roads in Penang. Pil 2 and 2A next after Pil 1. More and more cars. Why focus on highways ?????? We should have better public transport system. How many of us take a bus to work? We must reduce the number of cars. I know that we prefer to drive but do remember that Penang is a small island. We cannot keep building roads to allow more cars to move about. We must think of the future. Focus on public transport system……. While it is acknowledged that Penang Chief Minister Chow Kon Yeow recently explained that LRT is selected ahead of modern trams due to the concern of flash floods in Penang, such arguments are highly ludicrous and are illogical. Is the Penang chief minister implying that Penangites should brace for more flash floods in the foreseeable future? If so, has the state government given up on its flood mitigation efforts which were previously promised to Penangites? Shouldn’t the Penang government be addressing the source of flooding and remove the causes? With a rapidly increasing vehicle-to-population ratio, Penangites’ excessive dependence on private transportation has lead to the most severe traffic congestions the island has ever seen. At the moment, public transportation on the island is said to be facing challenges. Where in the world when develop new infrastructure got no impact one? This one no, that one cannot, how to move forward? PIL and LRT all part of the bigger plan to provide convenient for people of Penang. We are really far behind compared to neighbour. The time is NOW!!! Agree. Penang FMM already stated that PIL will help improve their productivity. It will be too late when MNCs move out from Penang due to our productivity getting lower and lower. Tunnels save our traveling time. Time is gold. More highways will solved the traffic jam. Who want to take public transport? Wasting time. Why need to walk for far to take public transport. Most of us have car, why do we need to take public transport. It is more comfortable using our own car. Build more multi storey carparks to solve the parking problem. Widen the roads in Penang. Turn all the roads into one way. Why pack yourself into the public transport? We, Penang people are not use to public transport. We prefer to drive in the comfort of our cars. We can go anywhere we want. No need to follow the stupid public transport routes. I support PIL 1, 2, 3, 4, 5 and so on. Yes, I support PIL Project. We should look into building more highways to shorten our travelling time. Lim Chong Eu highway should be widen too. There should be another highway from Georgetown to Teluk Bahang. Can build a tunnel to reach there. With our Dr M’s dream of the 3rd Malaysian car, car will be cheaper. We need to support his dream. More rakyat will be able to buy their own cars. So what is the problem? Pollution? More and more cars will be using electricity in the next few years. So what the problems with more cars? NGO just don’t understand Penang people. We don’t like public transport and it is troublesome to take them. Penang State government understand the Penang Rakyat. I support PIL. I support more highways. Forget about LRT. Public transport are not popular in Penang. Highways using tunnels through the hill are safe. Don’t worry. The government know what they are doing. Try taking a bus during rush hour. All smelly people in the bus. Can faint !!!! Penang people love to drive. 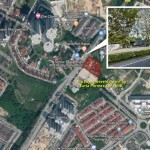 GEORGE TOWN (Bernama): The body of the third victim of a landslide at a construction site of the paired road at Jalan Bukit Kukus in Paya Terubong which occurred on Friday (Oct 19), was found and retrieved at about 1.30am Saturday (Oct 20). IS THE CONSTRUCTION OF PIL SAFE ?????? Will there be landslide like this paired road ????? Of course if you ask those with vested interest, they will tell you it “will be slow but safe”. But I think reality has already proven that what they say means nothing, NOTHING!!!!! They just say it, WITHOUT ANY CONCRETE MEASURES. In hokkien, it’s “chooi kong lampa song”, with absolutely no regard to human lifes. That’s sad, very sad.